Royal College of Chiropractors: please allow me to revise your statement on safety? Experiencing mild or moderate adverse effects after manual therapy, such as soreness or stiffness, is relatively common, affecting up to 50% of patients. However, such ‘benign effects’ are a normal outcome and are not unique to chiropractic care. Cases of serious adverse events, including spinal or neurological problems and strokes caused by damage to arteries in the neck, have been associated with spinal manipulation. Such events are rare with estimates ranging from 1 per 2 million manipulations to 13 per 10,000 patients; furthermore, due to the nature of the underlying evidence in relation to such events (case reports, retrospective surveys and case-control studies), it is very difficult to confirm causation (Swait and Finch, 2017). For example, while an association between stroke caused by vertebral artery damage or ‘dissection’ (VAD) and chiropractor visits has been reported in a few case-control studies, the risk of stoke has been found to be similar after seeing a primary care physician (medical doctor). Because patients with VAD commonly present with neck pain, it is possible they seek therapy for this symptom from a range of practitioners, including chiropractors, and that the VAD has occurred spontaneously, or from some other cause, beforehand (Biller et al, 2014). This highlights the importance of ensuring careful screening for known neck artery stroke risk factors, or signs or symptoms that there is an ongoing problem, is performed prior to manual treatment of patients (Swait and Finch, 2017). Chiropractors are well trained to do this on a routine basis, and to urgently refer patients if necessary. Experiencing mild or moderate adverse effects after chiropractic spinal manipulations, such as pain or stiffness (usually lasting 1-3 days and strong enough to impair patients’ quality of life), is very common. In fact, it affects around 50% of all patients. Cases of serious adverse events, including spinal or neurological problems and strokes often caused by damage to arteries in the neck, have been reported after spinal manipulation. Such events are probably not frequent (several hundred are on record including about 100 fatalities). But, as we have never established proper surveillance systems, nobody can tell how often they occur. Furthermore, due to our reluctance of introducing such surveillance, some of us are able to question causality. An association between stroke caused by vertebral artery damage or ‘dissection’ (VAD) and chiropractic spinal manipulation has been reported in about 20 independent investigations. Yet one much-criticised case-control study found the risk of stoke to be similar after seeing a primary care physician (medical doctor). Because patients with VAD commonly have neck pain, it is possible they seek therapy for this symptom from chiropractors, and that the VAD has occurred spontaneously, or from some other cause, beforehand (Biller et al, 2014). Ensuring careful screening for known neck artery stroke risk factors, or signs that there is an ongoing problem would therefore be important (Swait and Finch, 2017). Sadly, no reliable screening tests exist, and neck pain (the symptom that might be indicative of VAD) continues to be one of the conditions most frequently treated by chiropractors. I do not expect the RCC to adopt my improved version. In case I am wrong, let me state this: I am entirely free of conflicts of interest and will not charge a fee for my revision. In the interest of advancing public health, I herewith offer it for free. 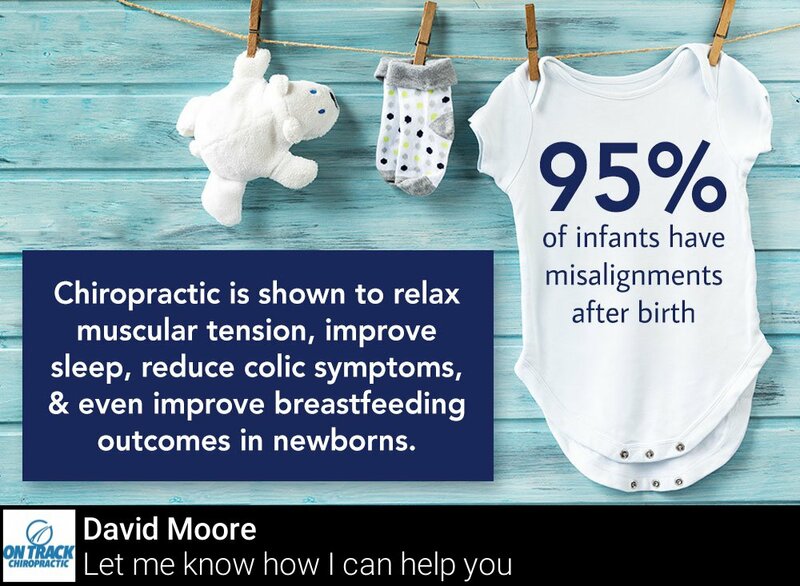 Many chiropractors tell new mothers that their child needs chiropractic adjustments because the birth is in their view a trauma for the new-born that causes subluxations of the baby’s spine. Without expert chiropractic intervention, they claim, the poor child risks serious developmental disorders. This article (one of hundreds) explains it well: Birth trauma is often overlooked by doctors as the cause of chronic problems, and over time, as the child grows, it becomes a thought less considered. But the truth is that birth trauma is real, and the impact it can have on a mother or child needs to be addressed. Psychological therapy, physical therapy, chiropractic care, acupuncture, and other healing techniques should all be considered following an extremely difficult birth. And another article makes it quite clear what intervention is required: Caesarian section or a delivery that required forceps or vacuum extraction procedures, in-utero constraint, an unusual presentation of the baby, and many more can cause an individual segment of the spine or a region to shift from its normal healthy alignment. This ‘shift’ in the spine is called a Subluxation, and it can happen immediately before, during, or after birth. Thousands of advertisements try to persuade mothers to take their new-born babies to a chiropractor to get the problem sorted which chiropractors often call KISS (kinetic imbalance due to suboccipital strain-syndrome), caused by intrauterine-constraint or the traumas of birth. This abundance of advertisements and promotional articles is in sharp contrast with the paucity of scientific evidence. A review of 1993 concluded that birth trauma remains an underpublicized and, therefore, an undertreated problem. There is a need for further documentation and especially more studies directed toward prevention. In the meantime, manual treatment of birth trauma injuries to the neuromusculoskeletal system could be beneficial to many patients not now receiving such treatment, and it is well within the means of current practice in chiropractic and manual medicine. 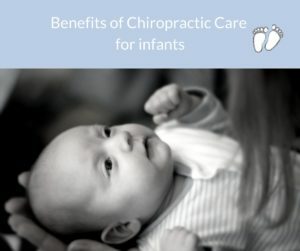 A more critical assessment of … concluded that, given the absence of evidence of beneficial effects of spinal manipulation in infants and in view of its potential risks, manual therapy, chiropractic and osteopathy should not be used in infants with the kinetic imbalance due to suboccipital strain-syndrome, except within the context of randomised double-blind controlled trials. So, what follows from all this? Chiropractors’ assumption of an obligatory birth trauma that causes subluxation and requires spinal adjustments is nothing more than a ploy by charlatans for filling their pockets with the cash of gullible parents. It is time, I think, to express my gratitude to Dr Jens Behnke, a German homeopath employed by the pro-homeopathy lobby group the ‘Carstens Stiftung’, who diligently tweets trials of homeopathy which he obviously believes prove the value of his convictions. polycystic ovaries – ovaries become enlarged and contain many fluid-filled sacs (follicles) which surround the eggs. 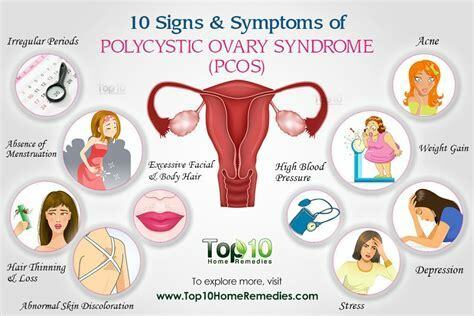 There’s no cure for PCOS, but the symptoms can usually be treated. As so often in such situations, homeopaths are happy to step into the fray. This single-blind, randomised, placebo-controlled pilot study was conducted at two research centres in India. The cases fulfilling the eligibility criteria were enrolled (n = 60) and randomised to either the homoeopathic intervention (HI) (n = 30) or placebo (P) (n = 30) with uniform lifestyle modification (LSM) for 6 months. The menstrual regularity with improvement in other signs/symptoms was observed in 60% of the cases (n = 18) in HI + LSM group and none (n = 0) in control group. Statistically significant difference was observed in the reduction of intermenstrual duration in HI + LSM in comparison to placebo + LSM group. Significant improvements were also observed in HI+LSM group in domains of weight, fertility, emotions and menstrual problems. No change was observed in respect of improvement in the ultrasound findings. Pulsatilla was the most frequently indicated homeopathic remedy. The authors concluded that HI along with LSM has shown promising outcome; further comparative study with standard conventional treatment on adequate sample size is desirable. According to its authors, this trial was a pilot study; this means it should not report any results and merely focus on the feasibility of a definitive trial. Researchers were not blinded, meaning that they might have influenced the outcome in more than one way. The primary endpoint was subjective and could have been influenced by the non-blinded researchers. 0% success rate in achieving the primary endpoint in the placebo group is not plausible. Compliance to LSM was not checked; as the homeopathy group lost more weight, these patients seemed to have complied better (probably due to being better motivated by the non-blinded researchers). My conclusion is not very original but all the more true: POORLY DESIGNED STUDIES USUALLY GENERATE UNRELIABLE RESULTS. For some researchers, the question whether homeopathy works beyond a placebo effect is not as relevant as the question whether it works as well as an established treatment. To answer it, they must conduct RCTs comparing homeopathy with a therapy that has been shown beyond reasonable doubt to be effective, i.e better than placebo. Such a drug is, for instance, Ibuprofen. The purpose of this study was to compare the efficacy of Ibuprofen and homeopathic Belladonna for orthodontic pain. 51 females and 21 males, were included in this study. Cases with non-extraction treatment plan having proper contacts’ mesial and distal to permanent first molar and currently not taking any analgesics or antibiotics were included in the study. They were randomly divided into two groups; one group was assigned to ibuprofen 400 mg and second group took Belladonna 6C (that’s a dilution of 1: 1000000000000). Patients were given two doses of medication of their respective remedies one hour before placement of elastomeric separators (Ormco Separators, Ormco Corporation, CA, USA) and one dose 6 h after the placement. Pain scores were recorded on a visual analogue scale (VAS) 2 h after placement, 6 h after placement, bedtime, day 1 morning, day 2 morning, day 3 morning and day 5 morning. The comparisons showed that there were no differences between the two groups at any time point. 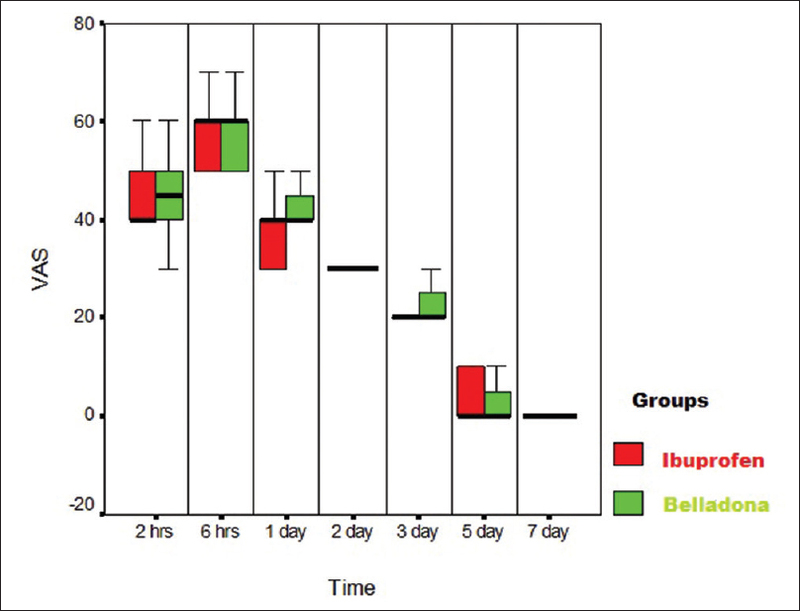 The authors concluded that Ibuprofen and Belladonna 6C are effective and provide adequate analgesia with no statistically significant difference. Lack of adverse effects with Belladonna 6C makes it an effective and viable alternative. FINALLY, THE PROOF HOMEOPATHS HAVE BEEN WAITING FOR: HOMEOPATHY DOES WORK AFTER ALL! Patients obviously knew which group they were assigned to; thus their expectations would have influenced the outcome. The same applies to the researchers (the study could have been ‘blind’ using a ‘double dummy’ method, but the researchers did not use it). The study was an equivalence trial (it did not test whether homeopathy is superior to placebo, but whether its effects are equivalent to Ibuprofen); such studies need sample sizes that are about one dimension larger than was the case here. Therefore, all this trial does demonstrate that the sample was too small for an existing group difference in favour of Ibuprofen to show. So sorry, my homeopathic friends!